So I'm a new member here and I want to introduce myself to everyone :) My name is Elina and I'm from Finland. I've loved pokemons since I saw the first episode of the series. I found this community by accident and wanted to be part of it right away. And finally after all the entrance exams chaos I had to go through first I'm finally here! But now to the main point. What I collect? 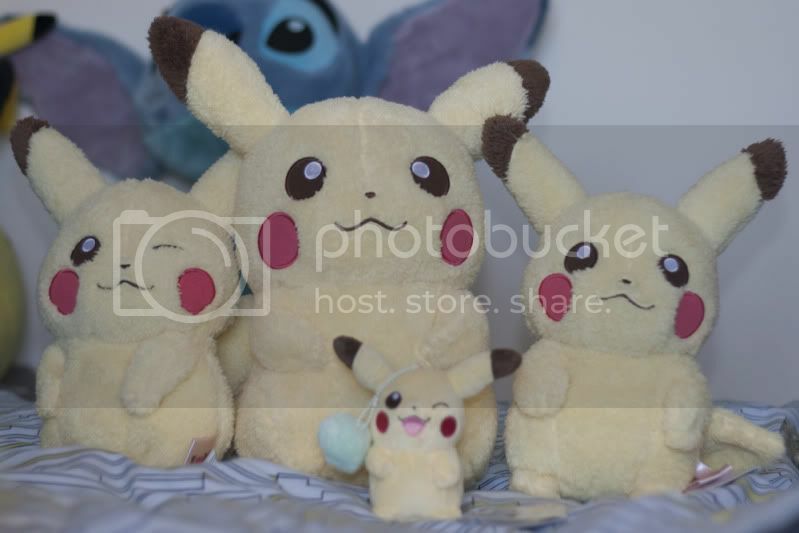 Well I have cute plushes and some random pokemon staff but my main collection is those tiny figures that came from Mystery Poke Packs. Red little packs that contained 4 figures and you couldn't see wich one of the figures were in them. You recognize them from the rectangular hole in the bottom of the figures. There is also the number and letters BP. I have a little question also here for the end. How valuable would you say a Shellder Tomy figure is? 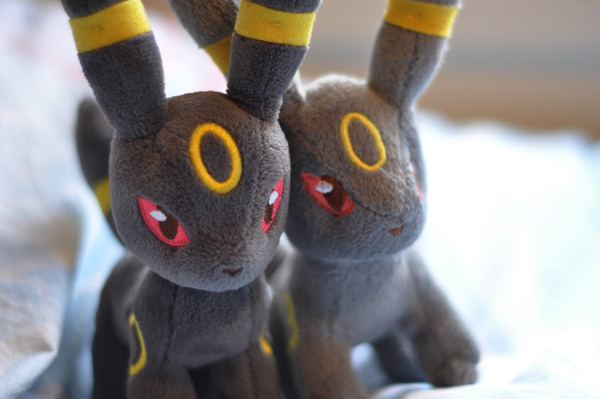 Well....Actually this plush is actually pretty fat! 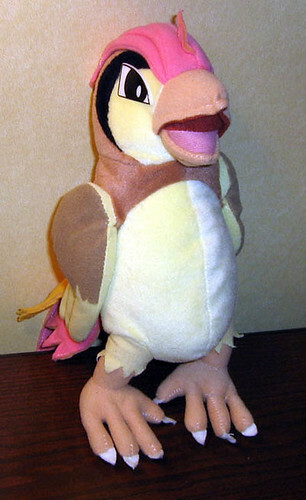 XD I've decided to give in and start collecting some merch of other Pokemon I love besides just Sneasel/Weavile x3 And my first big non-sneasel/weavile want is the cuddly Play by Play Pidgeotto plush! If anyone has one for sale or have any information on one, I'd definitely appreciate it! I don't want to spend more than $25 but I'd feel better negotiating prices with the seller x3 I've poked through Ebay and looked at the completed listings but I don't believe that any have showed up lately. Big Charizard Card up for auction! Recently I saw this card on a shop. Sorry for the crap photo, I can't be bothered to borrow my dad's scanner for just one card XD; Anyway, the front is a reverse holo and the back of the card is a check list. I'd like to start the auction at $3, please bid in minimum increasement of $1. Note that price does not increase shipping/ fees. Auction ends next Monday 11th June at 12 noon GMT +8 time. All community rules apply, includes no sniping. I can provide a countdown timer if asked. Thanks! Just a reminder that I am now officially doing pick ups for the McDonald's Pokémon promotion coming soon! Click here or the photos for more info! Today I bring sales for you. 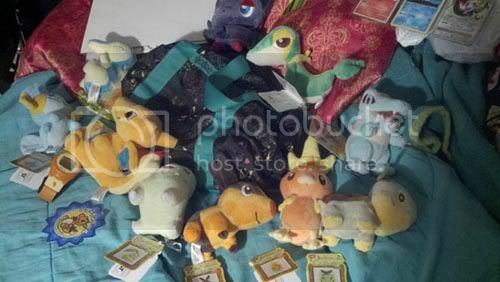 I have tons of TCG's including eeveelutions, and stuff from the new set, as well as a bunch of plushies that I want out of my house, as I dont collect them anymore, so I don't honestly want them occupying my space where I could put the new stuff I'm waiting for. 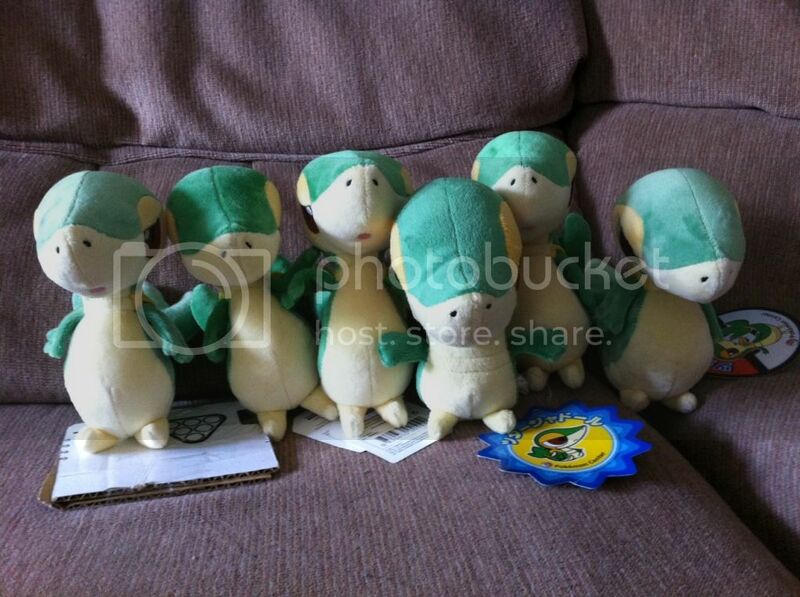 After much unanticipated waiting, finally, THE SNIVY FAMILY IS probably TOGETHER! 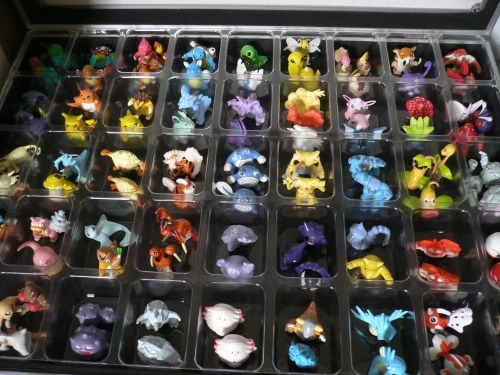 Maccas Pokemon toys! - Review of sorts? Hey guys, seeing as alot of us were curious as to what the toys actually /were/, I went out and got one to show you lot! Teeny Tiny 'Tini Collection Cleanup/Update! Thanks for your support in the aftermath of the burglary, guys! Still haven't heard anything from my insurance co. on the damages and items stolen, but the tini's are cleaned up and have been moved to a new location in the house that'll be less tempting to anyone wanting to get in and get out fast. Hey, everybody! I have been debating doing this for a while, and I decided to give it a go. Does anyone have these badges, but want one of their favorite town or gym to wear around, or have the silver trim but want your favorite in gold? Or are you like me, and collect a Pokemon or leader associated with a badge? This could be for you! This is for a set of Gen1 Sanshee badges (with GOLD trim, since silver is out of stock). I will continue taking slots until all are full. EDIT: Only the Boulder badge and Soul badge are available! Grab them now, before they're gone! Sales Permission celebration - the Zukan way! i have aquired sales permission today, and want to make use of it right away. You might know that i have a few Zukan diorama lying around but - as beautiful as they are - i've got them already. They are doubles and are just taking up space here. Therefore i want to offer you the opportunity of giving them a nice new home. I would also like to trade. Also, following the resonance about caryhs metal replicas, i have a similar plan in mind. But first, i want to know if some of you would be interested. If this captured your interest for one or both topics, take a look beyond the cut. The one that is naked is the official. I spent over $50 on it and really didn't like it. I especially hated his outfit......so I cut it off ;___; I regretted it shortly after. This has bothered me so much that I had an amazing idea! I'd buy a cheap bootleg and steal the outfit from him and put it on my official one! Spent a whopping $8 shipped on it from Hong Kong. It arrived today.....I can't get over how beautiful it is. The differences I noticed that aren't coming through in the pics are that the bootleg (it may be legit, but I doubt it) is a nice, dark black color while the official is a little lighter, with a hint of brown. I like the darker. 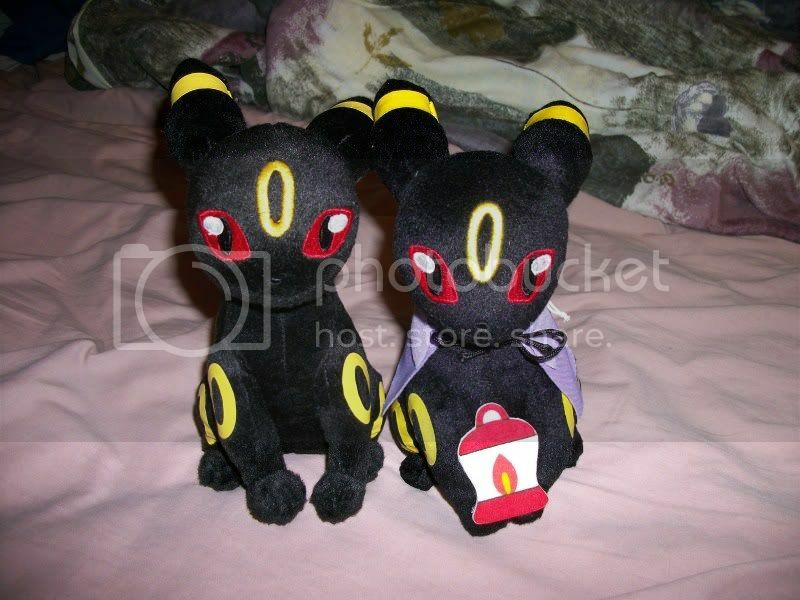 The stitching on the eyes is better....the stitching on the head circle is better....what is going on?! The ONLY thing I noticed that was bad is the one yellow ring on his side. It is see through and peeling off. Other than that I'd swear it was legit. 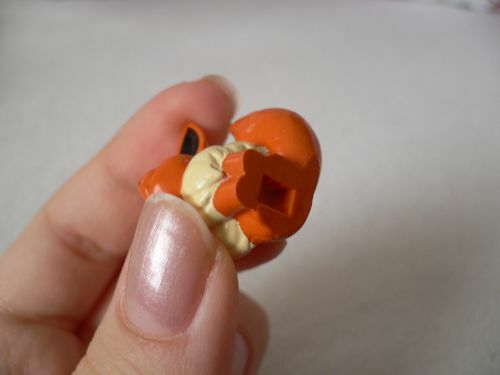 The Banpresto hang tag is fake and the tush tag looks a lot different than the official. The bootleg's tag is short and fat and the official is long and skinny. Both say the same thing, however. Needless to say I am thrilled by this. Maybe it is real and I got hella lucky? I dunno. I still don't like taking the gamble though! Updates, reunited bunnies, and recent gets! Firstly: The Battrio GA arrived a week ago but I have been busy with a few serious real life commitments and was unable to give you guys the full attention it required (organising over a hundred battrio with over 70 leftovers), so look for the final payment post this week. Secondly: I will be selling off the majority of my collection and things in storage. Look for one freaking massive sales post on Sunday. 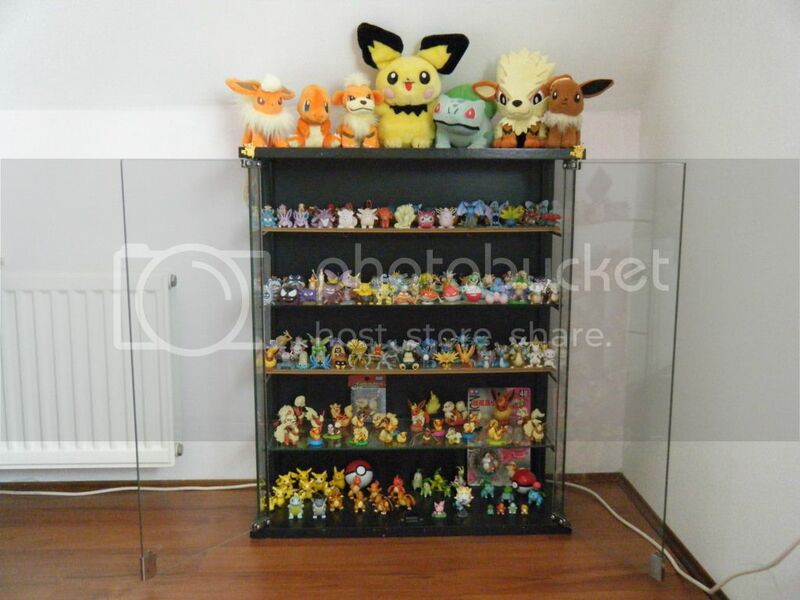 Plush, figures, bizarre flats, TCG, promos and jewellery. 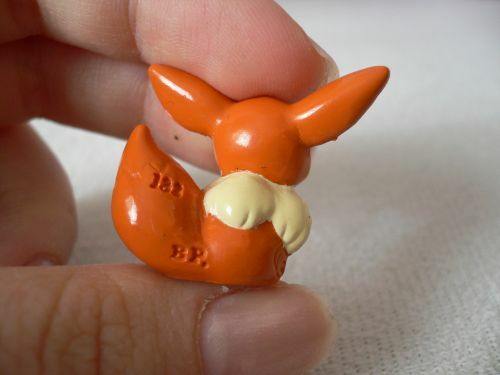 If you've coveted something in my past posts and it wasn't Lucario or bunny related, drop me a line! The worst I can do is say I'm not ready to part with it yet. Thirdly: I will be PMing or emailing all long-term unpaid GA participants who still have parcels here in the Box of GA, and if they do not respond within 10 days, their stuff is going too. I had a Noppin box this week, and a few gets I didn't update for a while. So lets have a dig! Urgent Pre-order: Banpresto Halloween Plush! Hey guys, I come with bad news for the Halloween Plush Pre-order. 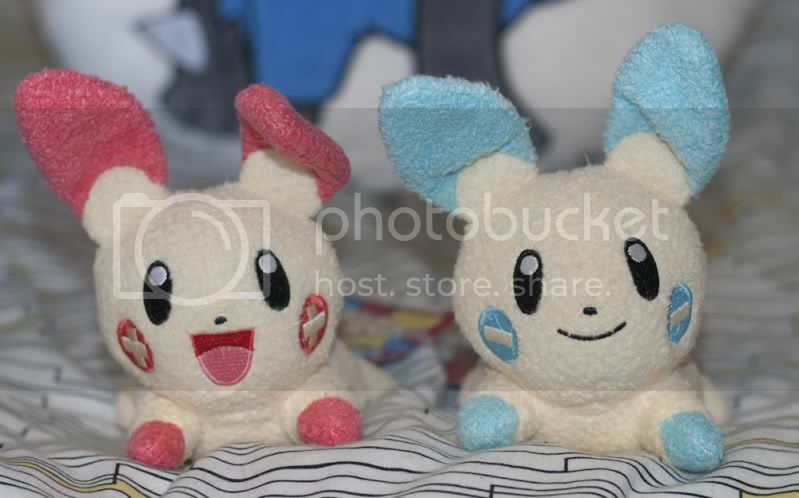 The shop I frequent will NOT be bringing in this set of plush, so the only way I can get it is to order an entire carton. Hence, 52 Plush will have to be claimed. It seems like a crazy feat but I believe it's possible. Note that all that have placed orders with me will have their orders carried over. I need to get claims quick as the deadline for the order is drawing very close. We need the following to get claimed: 6Litwicks, 9 Gothitas and 2 Scraggies 1 joltik. Try your best guys! If one carton cannot be claimed I'll try to get at least half a carton (meaning half of the shown quantity above). Please help with an underwater diarama project! Still, show me what you got :D! And, if there is a Tomy, can someone provide a picture? 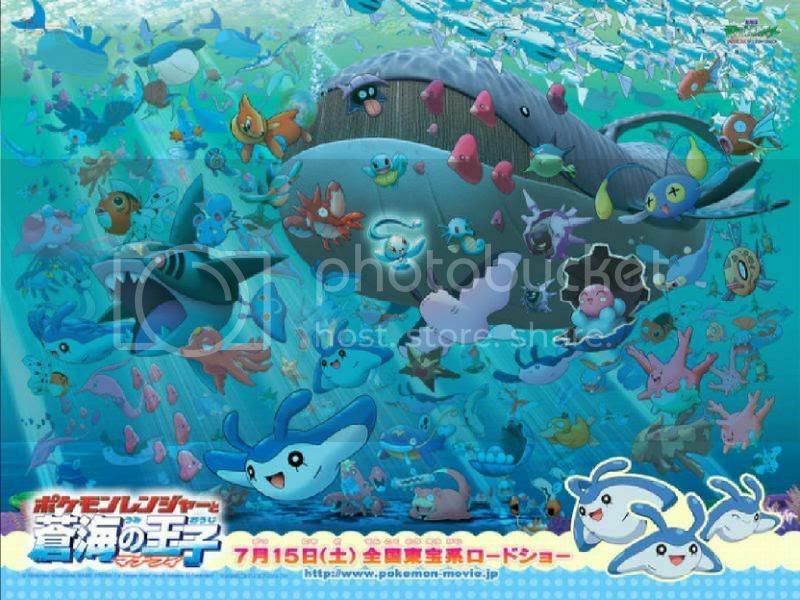 Quick Sales Shiny Emboar, Canvas Plush, + More! I'm back with some quick sales! -I only accept paypal, and I am not into doing holds. -(edit!) I do combine shipping and I try to be as reasonable as possible! I choose you! Collection update! I actually don't think I have any new items at all XD But I did do some weeding, reorganisation and took new pictures. Enjoy! Feel free to use any pictures for a wishlist. Thanks for looking! Thanks for reading, have a smashing week ahead!